We rode the route from end-to-end, so when you need it, you'll know what to expect. The Route 49 bus travels north and south along western portions of Center City, from Strawberry Mansion through University City, ending at New Hope Street and Vare Avenue in Grays Ferry. 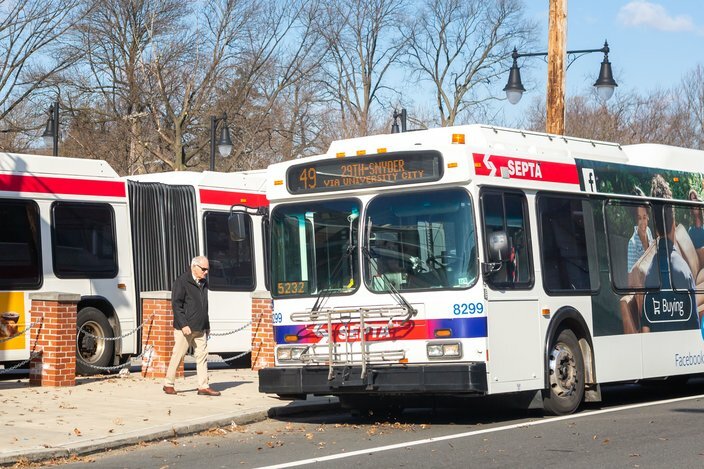 SEPTA’s brand-new Route 49 bus made its weekday service debut Monday morning, and was welcomed by many grateful riders whose commute just got a lot more convenient. 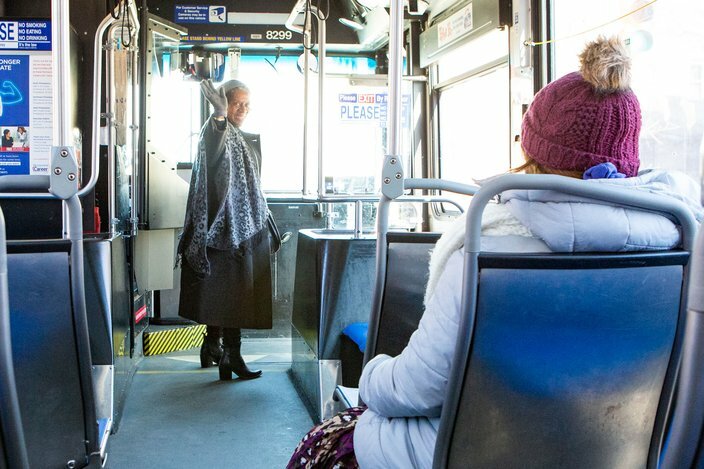 The route, which has been in the works for about 4 years, began service on Sunday, Feb. 25, with 12 buses at 12-minute peak, and 20-minute off-peak intervals. 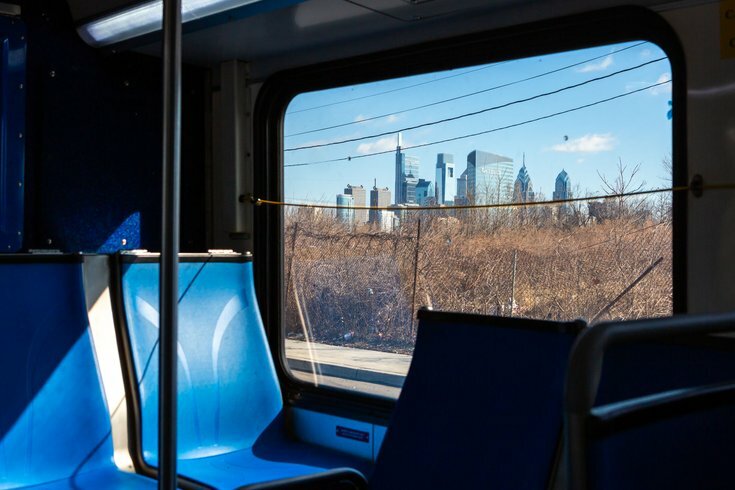 It connects neighborhoods from Strawberry Mansion, Brewerytown and Fairmount to 30th Street Station and University City, continuing south through Grays Ferry. One rider on Monday was Tom Collins, a SEPTA employee in the traffic department, who rode the route from end-to-end to record times and make sure the bus kept on schedule. He was happy to share a rhyme he made up. “There’s a new bus line called the 49, it’ll work just fine, most any time." "Although, my wife told me, 'Don't quit your day job!'" 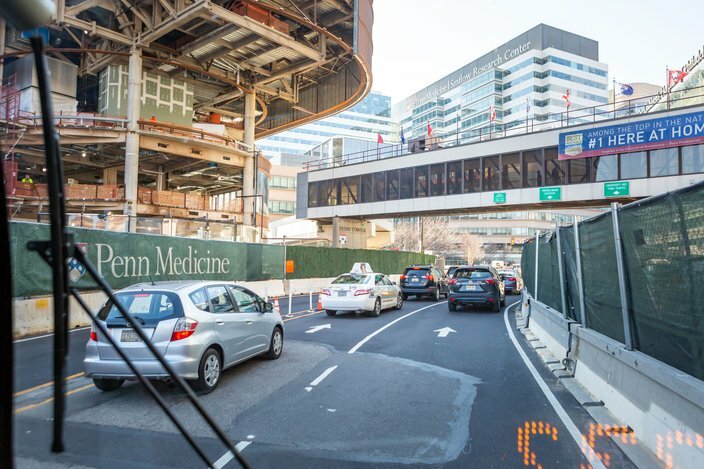 PhillyVoice took a round trip from end-to-end on Monday, to see how the bus was received. More information on the route can be found here. 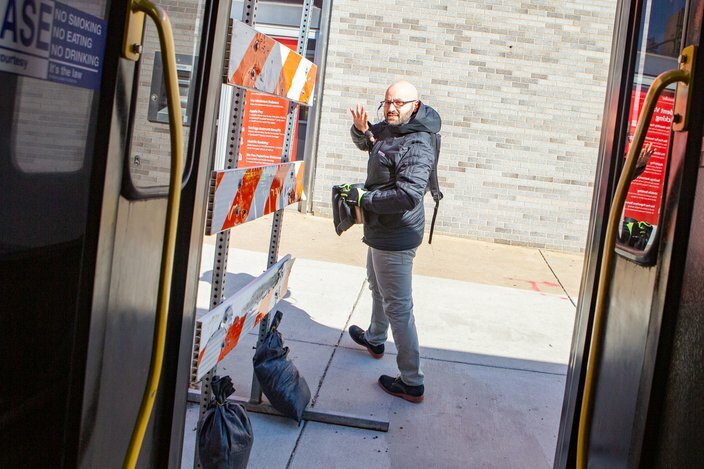 Tom Collins, a SEPTA employee in the traffic department, boards the 49 bus at the start of the route at 33rd and Dauphin Streets in Strawberry Mansion, Monday, Feb. 25, 2019. Collins rode the route from end-to-end to record times and make sure the bus kept on schedule. 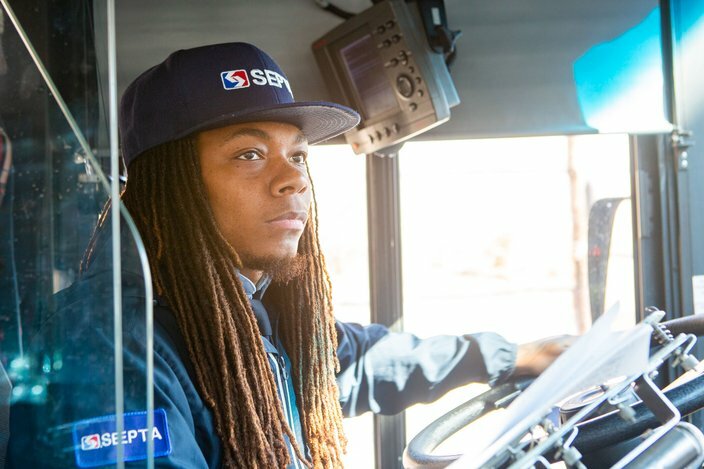 Terrell Irby, who has been an operator for SEPTA for 7 years, navigates traffic on Fairmount Avenue while making a turn on to 21st Street. “So far the reactions have been all positive, the passengers have been happy to get one bus instead of two or three to get to University City, so it's convenient for them”. Kristina Hill lives along the route and rode it a dozen blocks home on Monday morning. 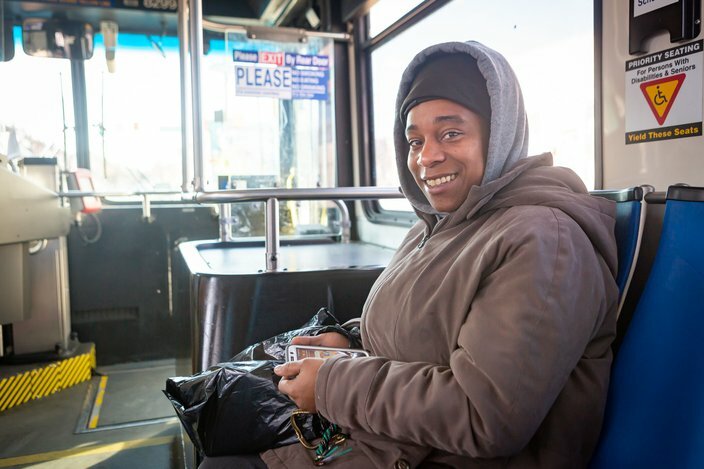 “This route will really help me because I know there's always a lot of traffic in the afternoon.” Hill's husband works at Penn and is sure they will both use the bus regularly. The 49 bus on Civic Center Boulevard near the Hospital of the University of Pennsylvania and Children's Hospital of Pennsylvania. 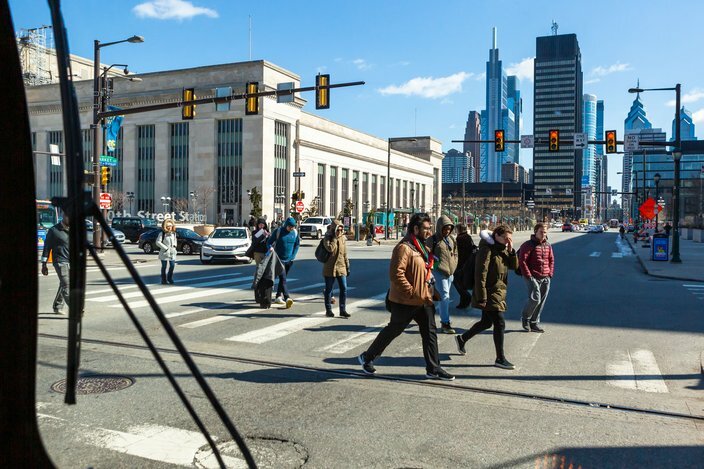 Pedestrians cross in front of the 49 bus at 30th and Market Streets near 30th Street Station, Monday, Feb. 25, 2019.